From the perspective of corporate governance, this paper analyzes equity incentive mechanism’s moderating effect on the relationship between TMT’s characteristics and investment efficiency. 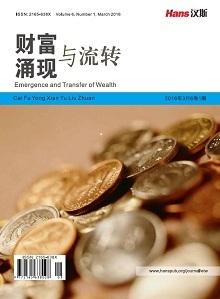 Based on the upper echelons theory, principal agent theory and incentive theory, this thesis uses A-share Chinese listed companies during 2006-2016 as a sample, and makes use of empirical method to do the analysis. The results demonstrate that: 1) There is a positive relationship between TMT’s age and investment efficiency, so as the relationship between TMT’s tenure, education level and investment efficiency; there is no significant relationship between TMT’s gender and investment efficiency. 2) Equity incentive mechanism has positive moderating effects on the relationship between TMT’s education and investment efficiency, on the TMT’s tenure and investment efficiency. But it has no significant effect on the relationship between TMT’s gender, age, and investment efficiency. 3) By distinguishing the company nature, it shows that equity incentive’s moderating effect is different between state-owned enterprises and non-state-owned enterprises. When selecting senior managers, companies should pay attention to their characteristics, focus on optimizing the composition of top management team. It is advisable to increase the proportion of senior managers with high age and academic qualifications, appropriately extend the tenure of senior managers. Besides, companies should formulate reasonable equity incentive policies to increase the investment efficiency. Hambrick, D.C. and Mason, P.A. (1984) Upper Echelons: Organization as a Reflection of Its Managers. Academy Management Review, 9, 193-206. 姜付秀, 伊志宏, 苏飞, 等. 管理者背景特征与企业过度投资行为[J]. 管理世界, 2009(1): 130-139. 李焰, 秦义虎, 张肖飞. 企业产权、管理者背景特征与投资效率[J]. 管理世界, 2011(1): 135-144. Nohel, T. and Todd, S. (2005) Compensation for Managers with Career Concerns: The Role of Stock Options in Optimal Contracts. 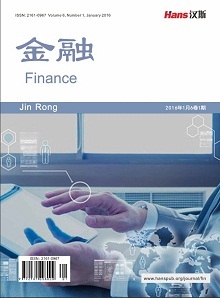 Journal of Corporate Finance, 11, 229-251. Andergassen, R. (2008) High-Powered Incentives and Fraudulent Behavior: Stock-Based versus Stock Option-Based Compensation. Economics Letters, 101, 122-125. Huang, J. and Kisgen, D.J. (2013) Gender and Corporate Finance: Are Male Executives Overconfident Relative to Female Executives? Journal of Financial Economics, 108, 822-839. 武迎丽. 我国民营上市公司女性高管与企业非效率投资行为实证研究[D]: [硕士学位论文]. 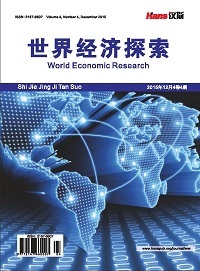 成都: 西南财经大学, 2013. Wiersema, M.F. and Bantel, K.A. (1992) Top Management Team Demography and Corporate Strategic Change. Academy of Management Journal, 35, 91-121. 孙海法, 姚振华, 严茂胜. 高管团队人口统计特征对纺织和信息技术公司经营绩效的影响[J]. 南开管理评论, 2006, 9(6): 61-67. Carlsson, G. and Karlsson, K. (1970) Age, Cohorts and the Generation of Generations. American Sociological Review, 35, 710. 张建君, 李宏伟. 私营企业的企业家背景、多元化战略与企业业绩[J]. 南开管理评论, 2007, 10(5): 12-25. 李凯, 秦丽娜, 刘烨. 自然人控股公司中的高管特征与绩效[J]. 管理评论, 2007, 19(4): 56-62. Allen, M.P. (1981) Managerial Power and Tenure in the Large Corporation. Social Forces, 60, 482-494. 张兆国, 刘亚伟, 杨清香. 管理者任期、晋升激励与研发投资研究[J]. 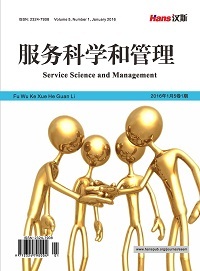 会计研究, 2014(9): 81-88. Ryan, M.K. and Haslam, A.S. (2005) The Glass Cliff: Evidence that Women Are Over-Represented in Precarious Leadership Positions. British Journal of Management, 16, 81-90. Morck, R., Shleifer, A. and Vishny, R.W. (1988) Management Ownership and Firm Value: An Empirical Analysis. Journal of Financial Economics, 20, 293-315. 刘运国, 刘雯. 我国上市公司的高管任期与R&D支出[J]. 管理世界, 2007(1): 128-136. Richardson, S. (2006) Over-Investment of Free Cash Flow. Social Science Electronic Publishing, 11, 159-189. 温忠麟, 侯杰泰, 张雷. 调节效应与中介效应的比较和应用[J]. 心理学报, 2005, 37(2): 268-274.